I’ve always gotten compliments from my clients on how I deliver their photos to them. 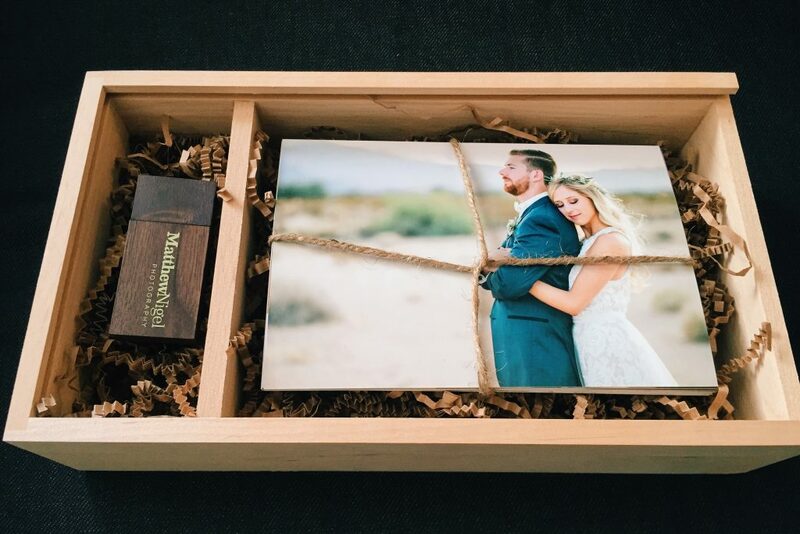 I send a custom wooden box filled with all sorts of goodies. 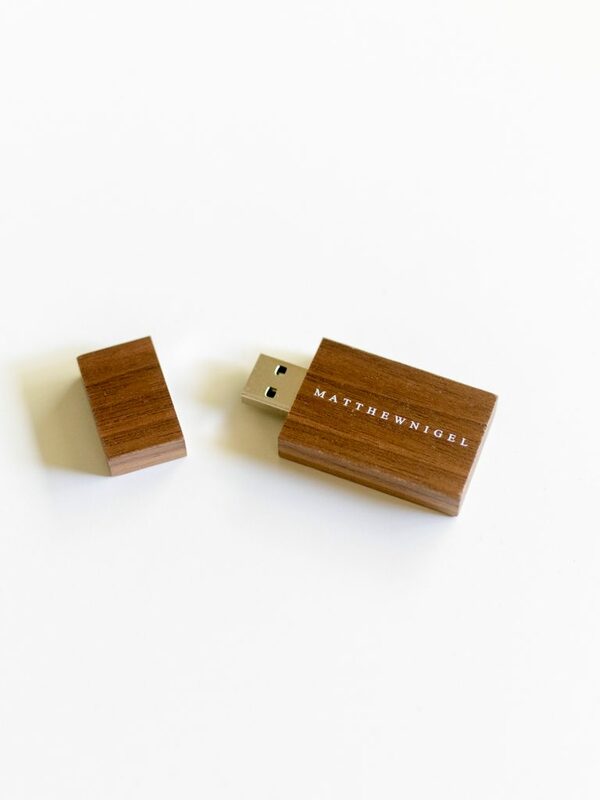 I include a wooden thumb drive from USB Memory Direct as well as physical prints from their wedding day. Lately I’ve been adding in ring dishes and a lavender spray as well, but I’ve included prints and a thumb drive for years. 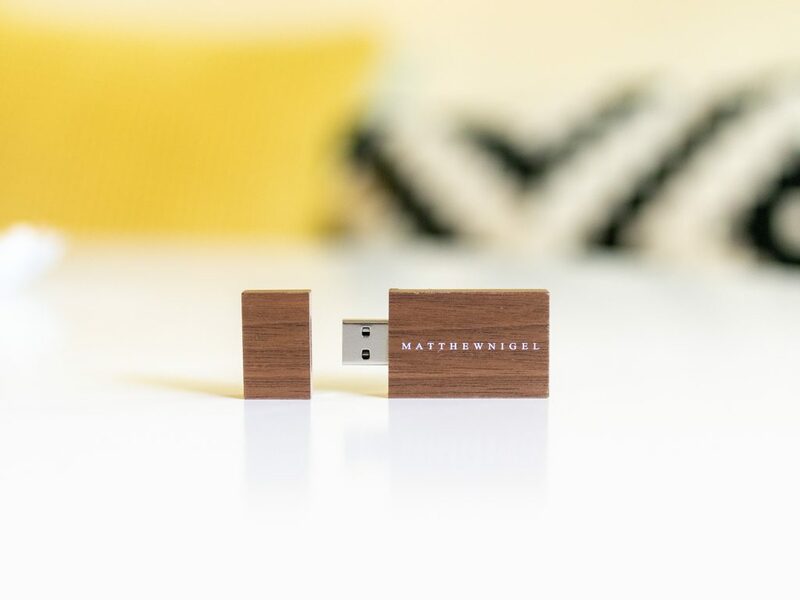 My clients love these little custom thumb drives that I give to them. 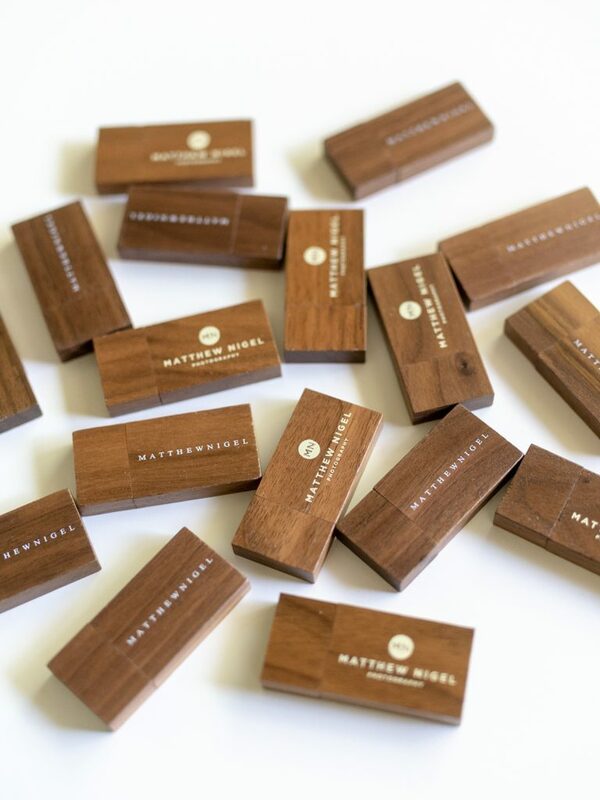 They’re fast and easy to use and I love the walnut wood finish. I’ve been using USB Memory Direct for over 5 years now and I’ve never had a single one of their drives fail on me. I’m a big fan of good customer service, and I’ve definitely gotten that from them over the years. Their prices are great, but their customer service is where I feel like they really shine. Ordering from them is so easy. You pick out which drives you want (they have a ton of options! ), add your logo and select a quantity. They’ll send over a proof email with a mockup of what your logo will look like on your thumb drive, and when you approve it they get to work! They show up quickly and they’ve always been packaged well. I honestly can’t say that I would ever change companies, because they’ve never given me a reason to!